I don’t like tight spaces. Never have. As a kid on the playground, I was one of those children who would absolutely, completely lose it if I was on the bottom of a dogpile. I’d access craziness in a way that would have landed me a leading role in Mad Max. I still stop breathing every time I see a dogpile. In fact, a friend was recently asking me about going rafting. No thanks. I’m not a fan of water. Why? Being underwater has to be one of the biggest fears of a claustropobe. You’re completely and utterly surrounded. To my credit, I practice facing this fear in my in-laws’ swimming pool. It’s 3 feet deep. All of this is why my response on my pre-screening call for my MRI was so odd. Here I am on the phone. I know that I do not like tight spaces. I decided not to even bother looking up the answer. I had to do it. I’ve been learning that I I can deal with anything that comes my way, but I can only do so in the present moment. In hindsight, I’m glad that I didn’t do any research. So, this past Wednesday (just two days ago), my wife and I made our way to the imaging center where they told me they were using their new, super duper machine that takes even better images. 3T or some business like that. I heard the word Tesla and thought of cars. After changing into scrubs, taking a selfie with my wife, and throwing my stuff into a locker, I was led to a room by three exuberant helpers. We got there and they proceeded to open a door that was at least 4 inches thick. A sealed chamber. We went into this tightly insulated room and there it was. With its ittle table I was to lie down on and a smaller tube I would be inserted into. Not awesome, but I was still in a great state of mind. They put me on the table and told me that it was going to take between 30-50 minutes. And that they needed to put in an IV to add some dye for special images that would make the process even longer. Back in the room, I lay down on the table, they jabbed me a couple times to get the IV right, and then they handed me some ear protection. Those little twisty buds you put in your ears. I put the twisty ear protection in and then they added some more. Some very tight fitting over-the-ear protection with headphones that they ratcheted so tight I thought my eyes were going to come out of my head. Then, they put a device over my head and locked it down to the table so I couldn’t move. I hadn’t expected that part. But, I was still really doing quite well. Until they put a little gadget on my chest and told me that it was the panic button. Just squeeze it and they’d get me out of there. Why would I need a panic button? Do people panic in MRIs? I think I am starting to. The little table began to move. Oh, how I wish I would have closed my eyes before going into the tube. Instead, I saw that I was surrounded by a cream colored plastic very close to my face, completely enveloping me, with no sign of light or an exit. I hit full-fledge panic mode. I started to drip sweat and I was shaking. But my hands didn’t feel like they could even move to get to that panic button. They were stuck by my side. I was stuck. And now I couldn’t breathe. Where is all the oxygen? Are they taking my oxygen? Why is my throat constricting? Did I eat walnuts today? Am I having an allergic reaction to the dye? Why can’t I get any air? I’m laughing now because I’ve been so stuck for the last 16 months. I told my neighbors last night while we sat on their porch that this is the first time in my life that I haven’t been to outrun, outwit, outsmart, appeal, change, or get out of a situation. My brain injuries have been a lot like a dogpile. There is no getting out of this situation. Right now, there is no cure. No solution. I have never been so fulfilled, so fully alive, so full of joy, so at ease with life as I am in this season. Don’t get me wrong. I have really rough days. But in the roughest of days have come the deepest sensations of peace, joy, and wholeness. Life is only unbearable when I demand it change. I wrote those words to my friend Paul months ago. As they spilled out in a text, I realized that they were representative of the great lesson of this season of my life. And in that tube on Wednesday, those words and their accompanying wisdom led me to right action. We always have the appropriate response for every situation. In that very stuck and paralyzed moment in the MRI, I had the right response within me. It didn’t involve pressing the panic button. It didn’t involve making the situation change. It didn’t involve getting out. What if that’s true? What if we don’t have to get out of the situations we don’t like? What if we don’t have to make life do what we want it to do? What if joy, peace, contentment, and wholeness are not conditional to our circumstances? That would be some good news. That is some good news! In the tube, still sweating, still unable to move, still having trouble breathing, I welcomed the panic and the fear that were present. Much of yoga nidra involves learning how to disidentify with our thoughts, emotions, body sensation, beliefs, and feelings. Not dissociate, which is a denying of reality. But disidentification by welcoming those thoughts, emotions, body sensations, beliefs, and feelings into a space of awareness. Realizing that we are not our thoughts or our beliefs or our emotions. They are part of us. They inform us. They have a role. But they are not us. We are not our bodies. Our bodies are in us. And all of these things move through natural and predictable cycles: birth, growth, stability, decay, and death. Every thought, every sensation, every belief, every emotion, every feeling. They all move through this cycle. Through us. We often want to hold on to the good feelings, emotions, and thoughts when they’re in the stability stage. We don’t want them to move on. We grasp at them and can make a mess of our lives in an effort to keep them. And we just as often want to push away and repress what we think of as negative thoughts, emotions, etc. In doing so, we end up grasping and identifying with these things as though they are us. Repressed thoughts, emotions, etc., want to continue through their natural cycle and will continue pressing for our attention until they can give us their messages and move on. The practice of yoga nidra helps us disidentify from the parts of ourselves and live from our state of unchanging wholeness in which all of those parts have a wonderful part to play. Now, I don’t like being afraid. I don’t like being in a panic state. I have a history of trauma. From two seasons of PTSD and now brain trauma, I am well-acquainted with a life that feels anything but safe, predictable, or in control. I have tried a lot of things to deal with trauma. To get out. To get unstuck. None of them worked for very long. In the deepest darkness of my brain damage, I felt that I had to get out and when I couldn’t I thought I would have to take myself out. And then I met Barb who taught me the practices that saved my life, that showed me that I can live a full and whole life no matter what. Rather, that a whole and full life was already alive within me. In yoga nidra, we consider ourselves as unchanging awareness in which the ever-changing flow of life arises. Through my experience, I have come to believe that these ideas are not localized to any one faith or religion. They are as universal as our breath. And so, in that moment of panic and fear in the tube, I experientially welcomed the panic and fear as part of the ever-changing flow of my life arising within unchanging awareness. Fear and panic are present. They are present within me. 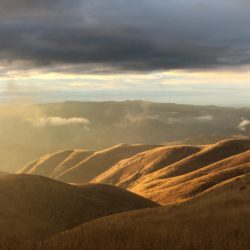 I began to use a breathing technique I learned from Thich Nhat Hanh years ago in a book called Living Buddha, Living Christ. As I did this, I felt my body begin to loosen a bit. To slow its production of cortisol and begin to secrete soothing agents into my blood stream. My heart rate slowed a little. My hands began to have the sensation that they could move but they didn’t have to. A smile spread over my face. I still felt like I couldn’t breathe. I then went into body sensations. We cannot, as humans, think about something and feel it at the same time. My thinking mind was convinced that I had to get out of that tube or go Mad Max on it. Intuitively, and as a result of living yoga nidra for the past year and a half, I went into the jaw, feeling sensation. Then to the inner ear on my left side. The outer ear. The cheekbone. The nose. The left eye. Then to the right side of my head. Then feeling the entire head. I periodically jumped back into the thinking mind and began to panic again. I welcomed the panic and allowed the messenger to speak. I then moved through my left arm, right arm, both arms. The front of my body, the back. Both front and back. By this time, I had relaxed a great deal. Off and on, I would jump back into the thinking mind and graciously respond and move back into feeling sensations. I then went into breathsensing. I simply followed my breath through the body, without trying to change it. I noticed the breaths were fairly shallow and hurried. I let them be and just felt the sensations. As I felt the sensation of my breath, I began to slow down the breathing and my exhalations increased, which activates the parasympathetic response system. More soothing agents. Less cortisol. I then began to breathe in and out on my left side. Then the right. Then back and forth. Then the whole body breathing. Finally, I moved to breath counting. At some point, I moved away from focusing on breathing and sensations and fell into gracious imagery. I connected to what we call our Inner Resource: a place of safety and refuge that is unchanging, equanimitous, secure, and whole. 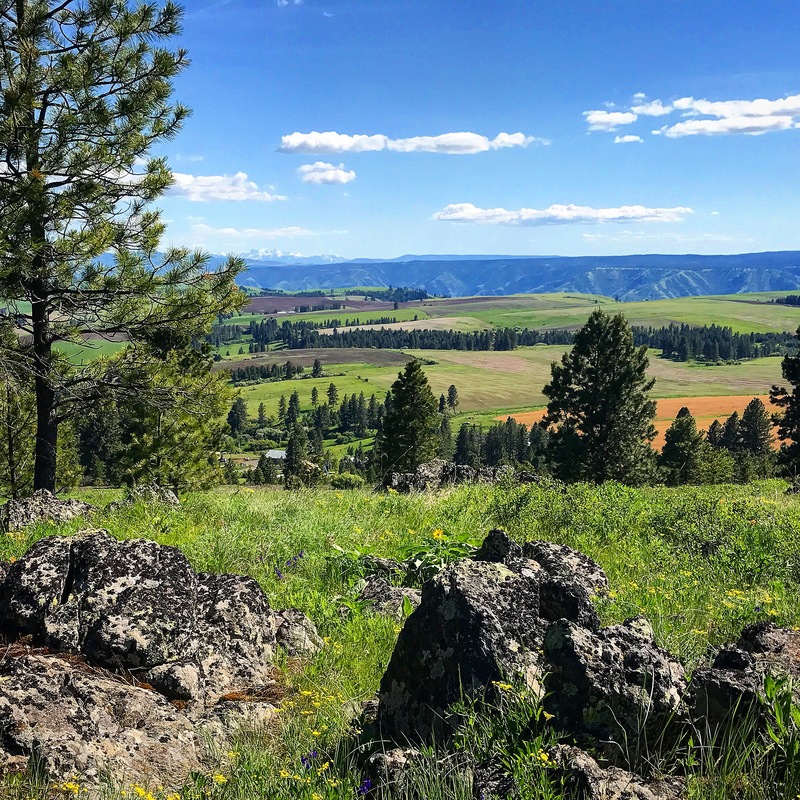 So there I physically was in the tube, but I was really back in the wildflower meadow, under the shade of the Pondersosa Pine, overlooking the rolling hills and forests that dipped down into the Salmon River. The Seven Devils mountain range rose in the distance, snow-covered and majestic. The beautiful face showed back up. Eyes aglow, face shining, smile lighting up the scene. Full of laughter, he moved into the meadow, caressing each wildflower, talking to it, laughing and looking over his shoulder at me with delight. He took several steps toward the Seven Devils and gently manicured their snowy slopes. He looked back at me across the miles and let out peals of laughter. So deep and full of resonance that the entire scene moved with glorious delight. Greens became greener. Blues bluer. The trees danced. The flowers showed their faces, smiling brightly, singing a song. The hills undulated. The clouds embraced one another. The sun glowed. I smiled uncontrollably and laughed with him. Deeply. “Please hold still in there so the image isn’t blurry,” came a voice through the headphones on my head. He then moved toward me. A giant. But not. In a step or two, so light-footed than no particle was disturbed, he was next to me. He told me that he had a story to tell the world. He moved his hands into my head and onto my brain. He gently but firmly slipped his fingers between the tissue of the brain and a harder outer substance that was between the brain and the skull. With some force, he began popping away the substance. I could feel it loosening, popping out, and eventually he dislocated it and lifted it away. He then took my brain in his hands, looked at me with kind eyes, a bright smile, and laughed as he took several huge steps toward the Salmon River in the distance. I could see him bend down to the river on one knee with my brain in his hands. He rinsed the brain through the river, lifting it out of the river, running his fingers through its folds, rinsing again, running fingers through folds, over and over. I could somehow feel this while watching. Satisfied with his work, he looked toward me, laughed deeply again – setting off joy throughout the natural scene – rose and was back with me. He gently placed my brain back into its place, working it around with his fingers. He then began to massage my head. I could feel his touch throughout my body. “Does this mean I’m healed?” I asked. I continued to breathe in this scene with tears of gratitude in my eyes, taking deep, sweet breaths and feeling as though I was in complete spaciousness. They told me through the headphones that I had one final 2-minute image and then we would be finished. A strong sense of love and peace moved within me throughout those two minutes. I almost didn’t want them to disturb me. It was just so good. They hit their buttons to bring me out of the tube and by the look on their faces they didn’t know how to respond to the look on mine. We all just sort of smiled at one another. No words needed. They walked me into the changing room where I met Emily. Nothing needs to change in order for us to live full and whole and complete lives. Life is only unbearable when we demand it change. Was I cured during the MRI? Did I have a brain tumor and have it removed during the MRI? Results came back yesterday that I have a “normal” brain. All my symptoms are still here today, though. The dizziness, the headaches, the nausea, the sense that my left eye doesn’t see anything. I’m typing this all with one eye. And yet I am full of laughter, and delight, and joy. I am whole. I am healed. I am a healer. Nothing in life needs to change for that to be true. May you have a wonder-filled day. Today. Fully present. Fully alive. Today.